Fabolous plans to release his first album since 2009, Loso’s Way 2: Rise to Power, at some point this year, and he’s got a NYC show coming up on April 26 at BB King’s with Pusha T. Tickets for that show go on sale Friday (3/22) at noon. Towards the end of last year, Fabolous and Pusha T collaborated on the track “Life Is So Exciting,” which you can watch the video for below. 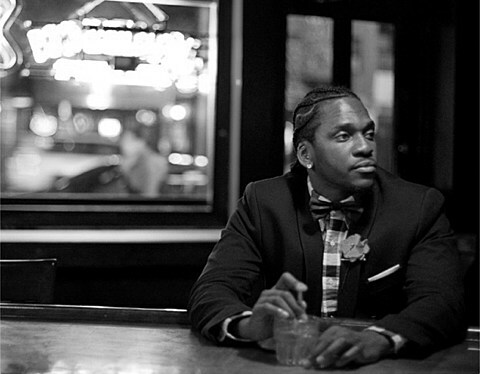 Pusha also recently dropped a free mixtape, Wrath of Caine. That Fabolous/Pusha T track is from Fabolous’ 2012 mixtape, which also featured fellow NYC/NJ area rapper Joe Budden, and Budden has an upcoming show too. He plays with a live band on April 30 at Highline Ballroom. Tickets for that show (including a VIP meet & greet) are on sale now. Another long-running NYC-area rapper, Styles P, is playing a show on April 15 at BB King’s with special guests. That show is a record release party for his new album, Float, which was produced entirely by Scram Jones and is due out April 20. Much weirder NYC rapper Beans (who is no longer in Anti-Pop Consortium) plays The Bowery Electric on April 18 with Bryant K., Uumans, and Mike Pride’s from Bacteria to Boys. Tickets for that show are on sale now. A huge ’90s Hip Hop Revival’ show is going down on Friday (3/22) at Public Assembly with a number of classic NYC groups and rappers like The Beatnuts, Jeru the Damaja, Rah Digga, Nature, King Just, Lord Digga, and many more. Full lineup and more info HERE. Let’s shift our focus to the West Coast for a bit to mention that Too $hort is playing NYC on May 2 at Stage 48 with Greedy, Reggie Mills, and We Are NJ. Tickets for that show are on sale now. Andre Nickatina is playing Santos Party House on May 22 with Roach Gigz and Mumbls. Tickets for that show are on sale now. Now onto Southern rappers. Curren$y plays NYC on May 10 at BB King’s. Tickets for that show are on sale now. 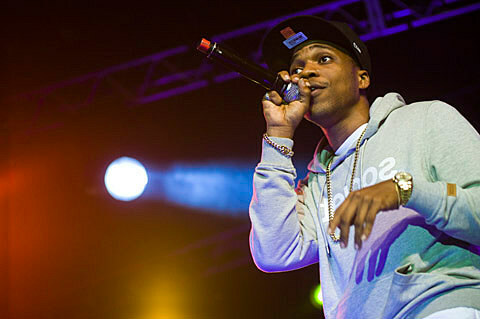 Curren$y recently released the free mixtape, New Jet City. Florida rapper SpaceGhostPurrp and the Raider Klan play Santos Party House on Monday (3/25). Tickets for that show are on sale now. Killer Mike plays previously discussed shows at Public Assembly on Wednesday (3/20) (you can only get into that one through Scion A/V’s contest), NYU on March 27 with Mr. Muthafuckin’ eXquire and Cakes da Killa, and has an upcoming tour with Big Boi which hits NYC on Brooklyn Bowl on April 24 (general admission sold out, but $100 VIP tickets still available) and June 20 at Prospect Park. He was on Letterman last night (3/18) with El-P and Scar to perform “Untitled” from his 2012 LP, R.A.P. Music. Check out a video of that performance below. And lastly, Hot 97 Summer Jam is returning to MetLife Stadium on June 2. Lineup is TBA but tickets are on presale now (password: “ACCESS”) and general on-sale starts April 12 at 10 AM.